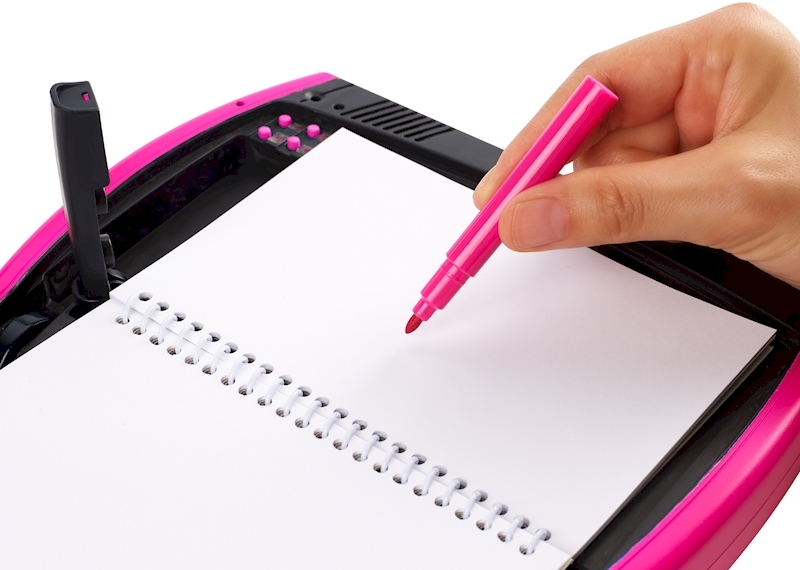 With voice recognition technology, the journal only opens to your voice with a spooky password you create. 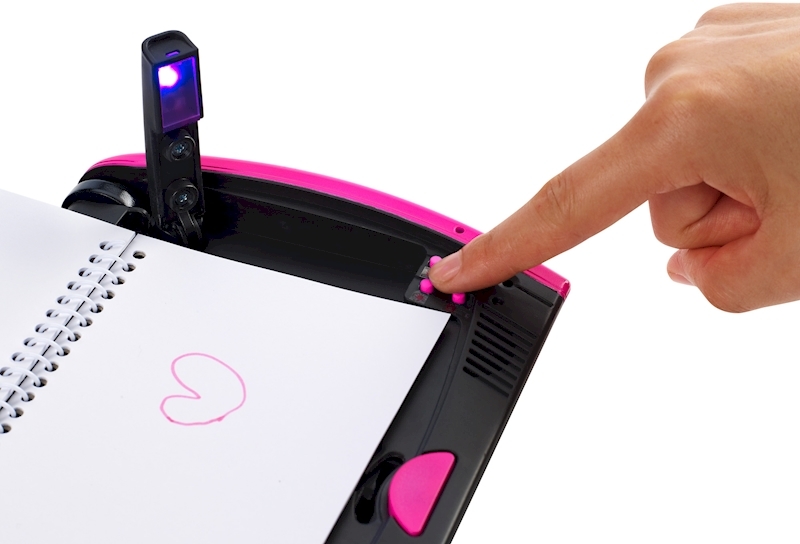 You can also record your personal welcome greeting, sign on and off message. Then, get super scary and customize an intruder warning to keep sneaky peekers away! 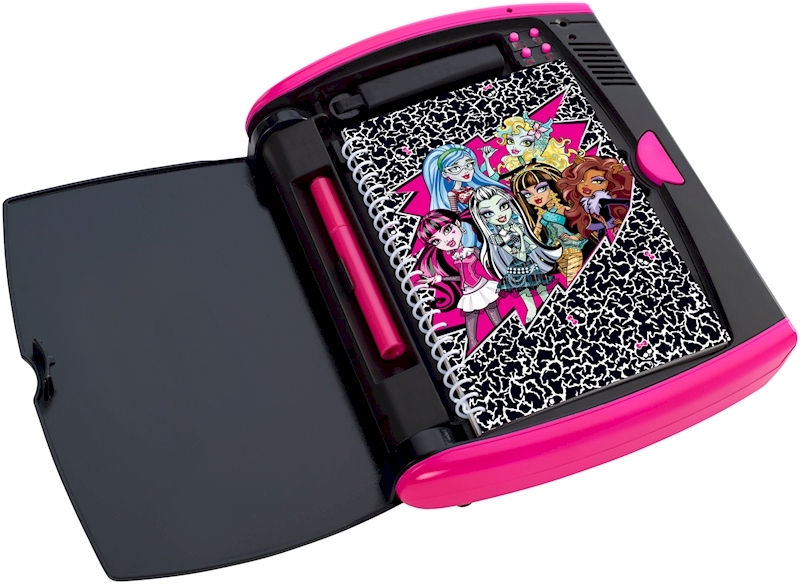 The journal also plays the catchy new Monster High™ theme song when opening and comes with an invisible ink pen and a black light to read your writing in total privacy. 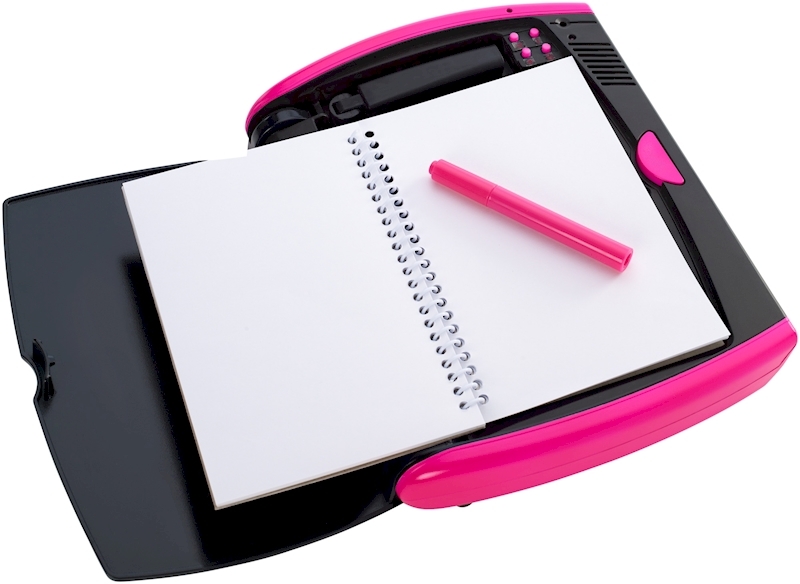 The black light is also a dual reading light so you can journal even in the dark! There's also a hidden compartment for storing super-secret stuff. This wicked journal offers total privacy and protection — to keep ghouls' thoughts in and creepers out! Paper notebook included. You're about to visit a Monster High web page that is intended for adults.